Flags and banners, earlier made of fabric,but nowadays universally made out of vinyl that is waterproof, highly flexible, crease-resistant, and easy to work with. The material can be printed upon with high-quality non-fading colorful inks that make possible the creation of very attractive graphics. The printing machines on which these banners and flags are printed have become extremely fast and economical but do not require a large number of prints to be made at the same time. This means that printing of a few banners is as economical as printing a thousand. 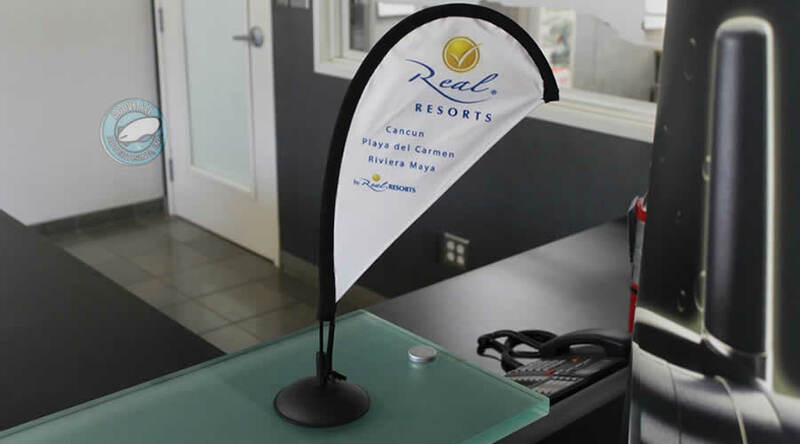 Cutting the vinyl material into complex shapes is also very easy; even the curved shape of teardrop flags is simple to cut and fabricate. Typically flags and banners that are made out of vinyl last for a very long time. The polyester material is strong and durable, and the inks with which they are printed upon do not fade even when exposed to sunlight, water, acid rain, chill, wind and everything else the outdoors can throw at them. Depending on the accessibility, you can keep on reusing them for a number of times. Due to their simple construction and clean lines, installation requires nothing more than a sturdy aluminum frame or a stand. All the materials are extremely lightweight and simple to carry around. 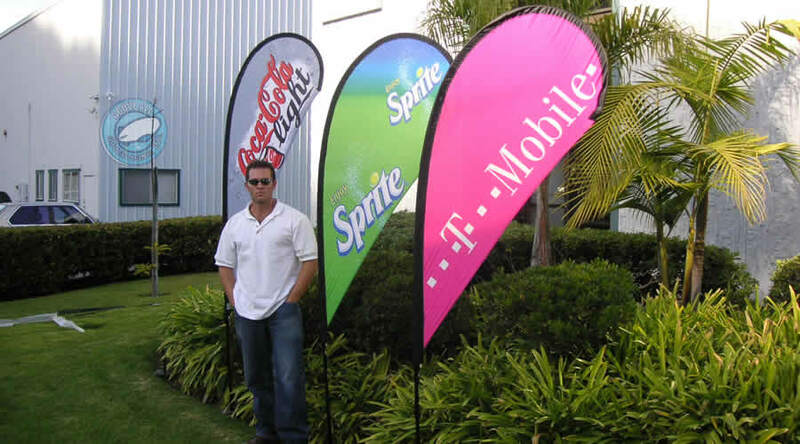 Even the larger teardrop flags, flex blades and elbow banners are invariable collapsible and can be stowed away in a bag or box with erection possible in just minutes. There is virtually no situation where custom-made banners and flags cannot be used. Depending upon the space available, the height allowable, and other situational parameters, these banners and flags can be designed to exactly suit the location and the occasion. The polyester base-material is extremely economical as is also the printing and the mounting processes. Advertisers who are trying this out for the first time will be amazed to discover the variety available at any of the market leaders such as www.abovealladvertising.net. You get a wide variety of shapes and sizes that won’t blow a hole in your budget when you want to advertise your product, service or event. 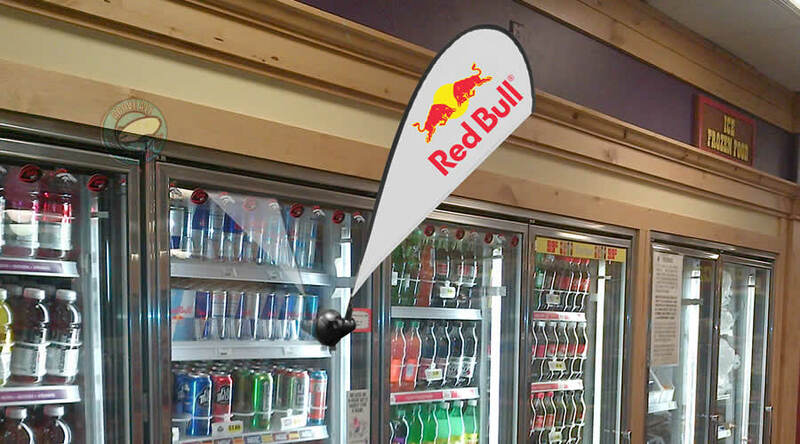 There is a huge choice of options for indoor or outdoor placement, as well as shapes and sizes in not only teardrop flags but also many other shapes. The website is completely user-friendly with user-guides freely available for each product category. Download the product catalog, ask for a free quote whenever you wish or simply simple send an online query to clarify your doubts and get going.